Pilibhit is famous as “Bansuri Nagar” or “City of Flutes”. It is one of the largest flutes manufacturer & exporters of the country which exports approx. 95% of India’s Flutes. Dargah-e-Shahji Miyan, Shri Purnagiri Temple etc. are the famous religious places of the city. The literacy rate of the city is 61.47% which is lower than state average 67.68%. The education system of Pilibhit is very well. The city is decked with study centers, colleges, schools, ITI’s etc to enhance the skills of students. Drumond Government Inter College, St. Aloysius College, Ramlubhai Sahani Govt. Girls Degree College is few among them. Technical Education is the need of modern era. Industrial Training Institutes (ITI’s) or Industrial Training Centers providing technical as well as non-technical education to the students to generate more manpower for the Country. At present, 3 Govt. ITI’s and 2 Private ITI’s in the city. There are various trade courses such as Machinist, Wireman, Turner, Electrician etc. over 130 different Specialties. The time period is from 6 months to 2 years depend on student’s choice. Basic qualification to join these courses is 8th or 10th passed with minimum 14 years age. During the Training, Trainees get paid as well. 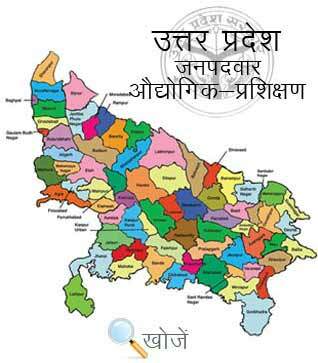 In the state of Uttar Pradesh, Vyavasayik Pareeksha Parishad (www.vppup.in) is responsible for conducting the entrance examinations for admission in ITI’s. www.upiti.in is another education portal for students to help them to get all the updated and necessary information such as exam dates, counseling dates, online downloading of admit cards or application form etc.